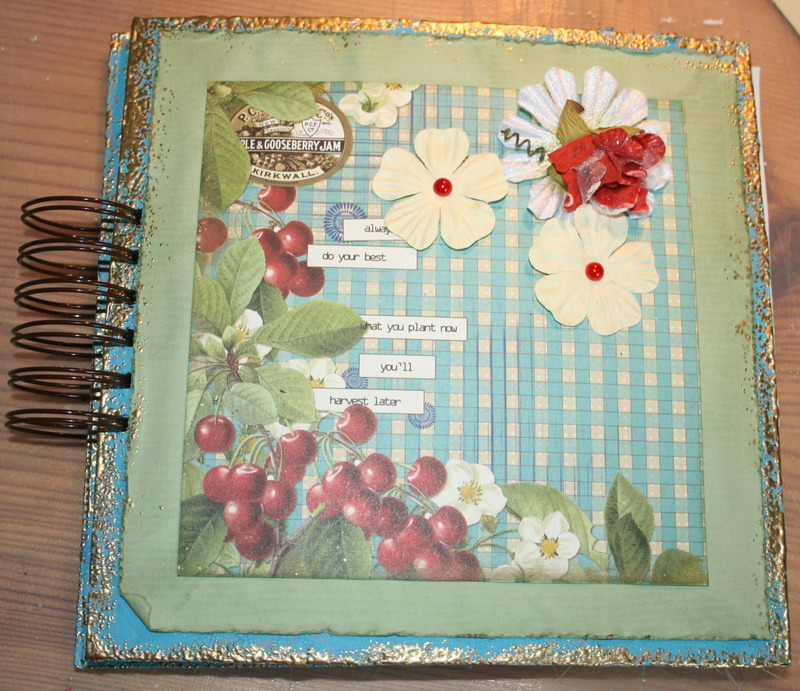 This album is made in the same way as the one I showed yesterday, but it has only 4 paper bags and no birthday book. A gift for my niece. 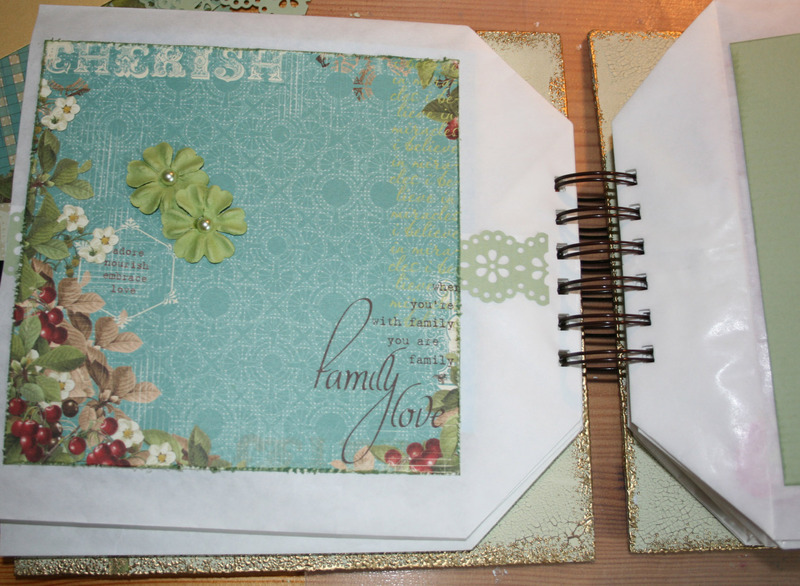 … one pocket for Thank-You-cards, and the other two holds cards with other texts and without texts. 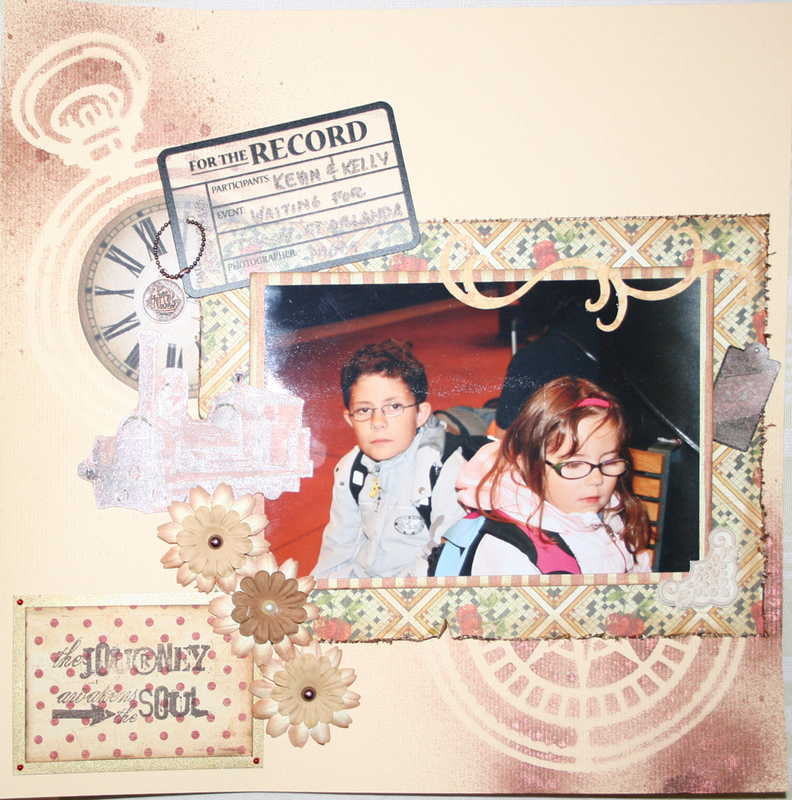 For my SIL’s 40th birthday I created a combined birthday book and card album – keep track of the birthdays and always have cards ready at hand! Dress up the covers and cut the paper bags to fit. 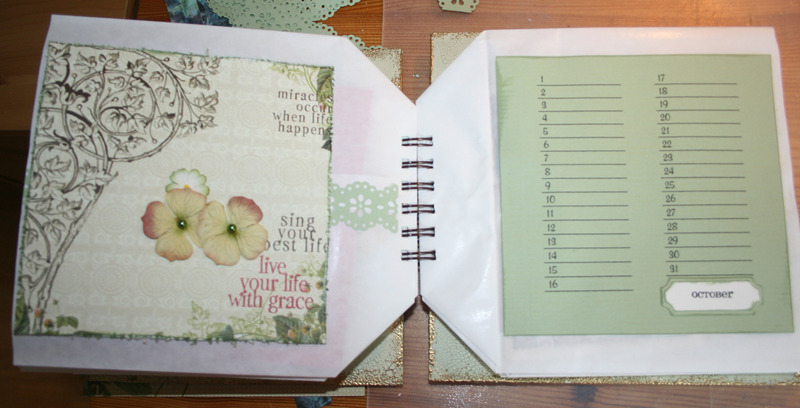 Make the holes and bind together using the Bind-It-All. 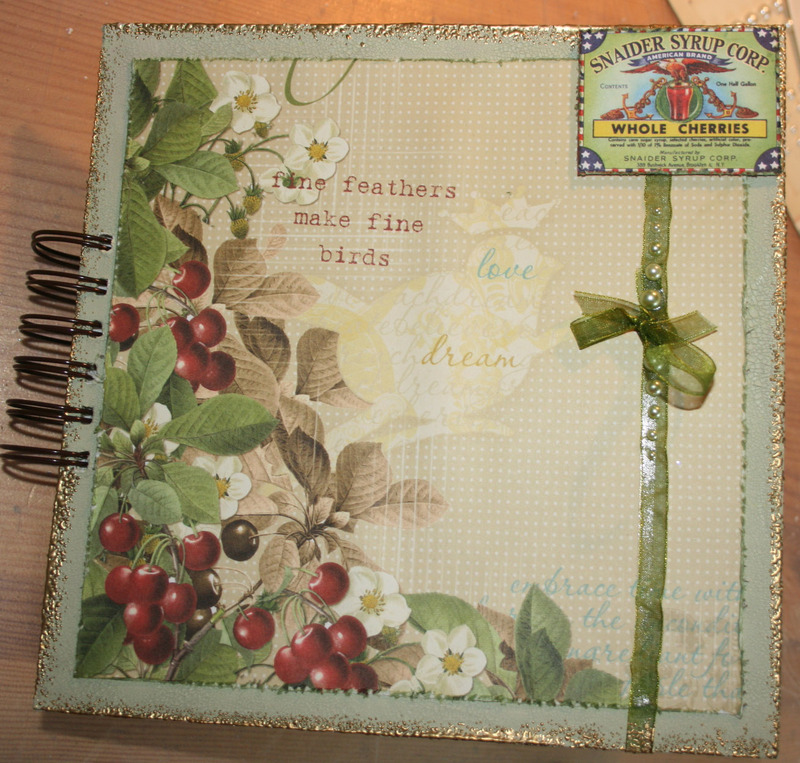 Decorate the covers with papers and embellishments of choice, and make all the cards to go with it! This is a great gift that will give pleasure in several steps – first the one who gets it, and then those that gets all the lovely cards! 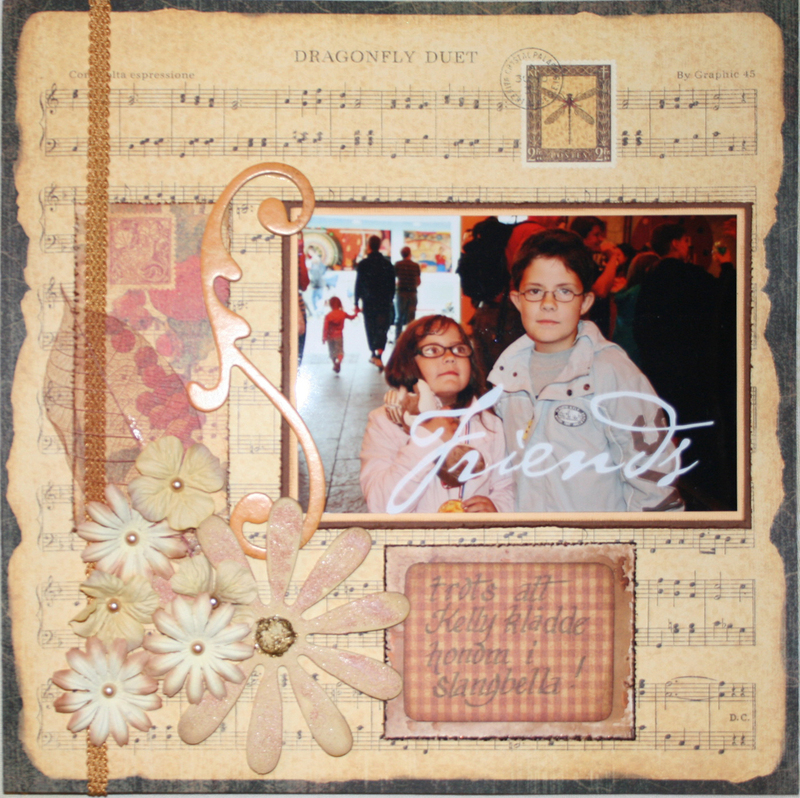 For this album I used Webster’s Pages patterned papers, UTEE gold on the edges of the covers and embellishments from stash. The Bind-It-All and wires and UTEE from Bumblebee. 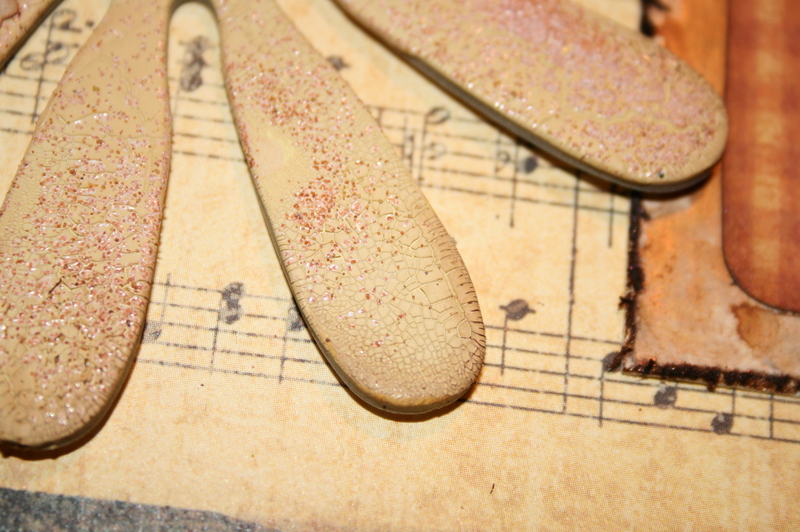 I got these lovely Art Moulds from Crafts and Me in UK, and they are great to work with! I bought two to start with, I’ll place an order for a few more in a few days! 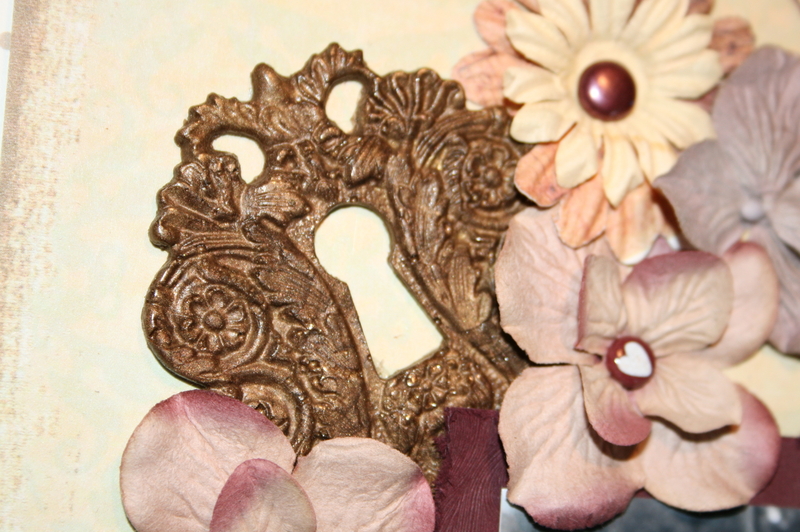 I have tried with UTEE and Fimo clay in them, both works great. 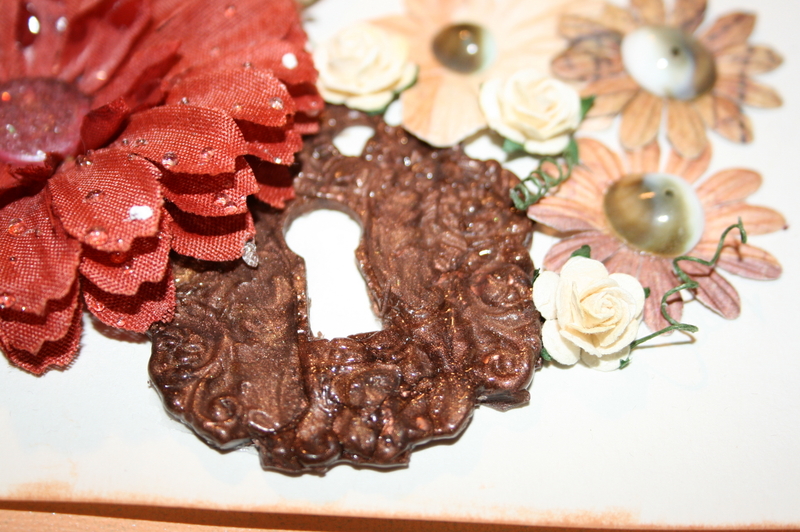 The following pictures shows those I’ve made with UTEE, a mixture of Bronze and Gold to get the right color. 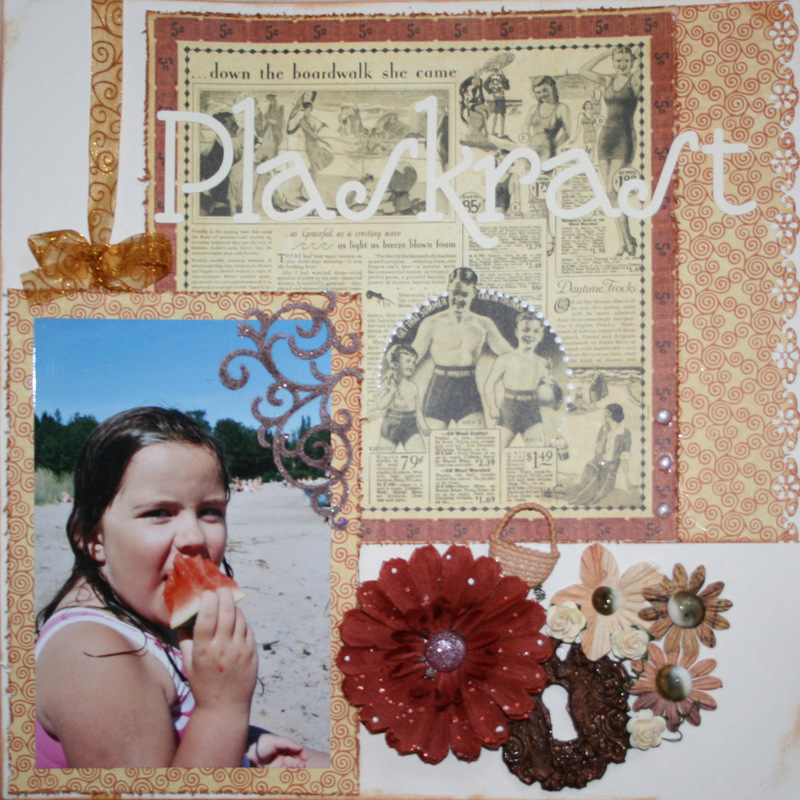 I bought some scrapboards in the size 30×40 cm to decorate as wall hangings, this is one of them. Click on the pictures for a closer view. 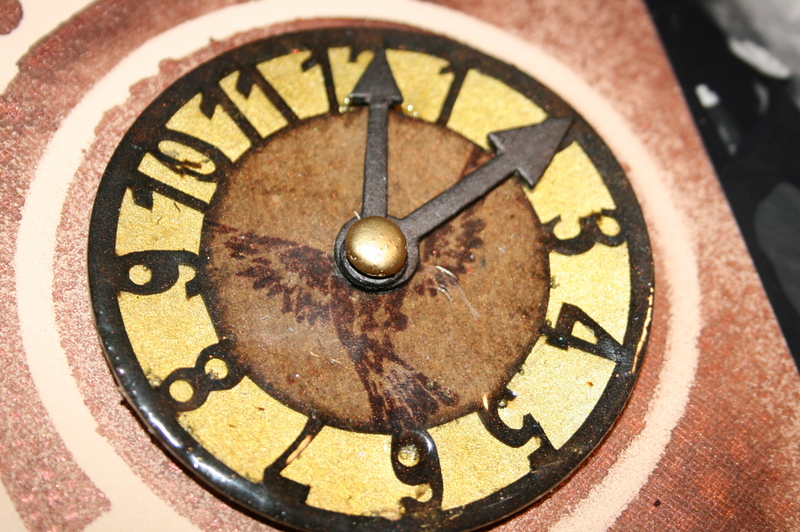 Prima stamp on Maya Road chipboard clock, over gold mirri card, covered with three layers of UTEE clear. 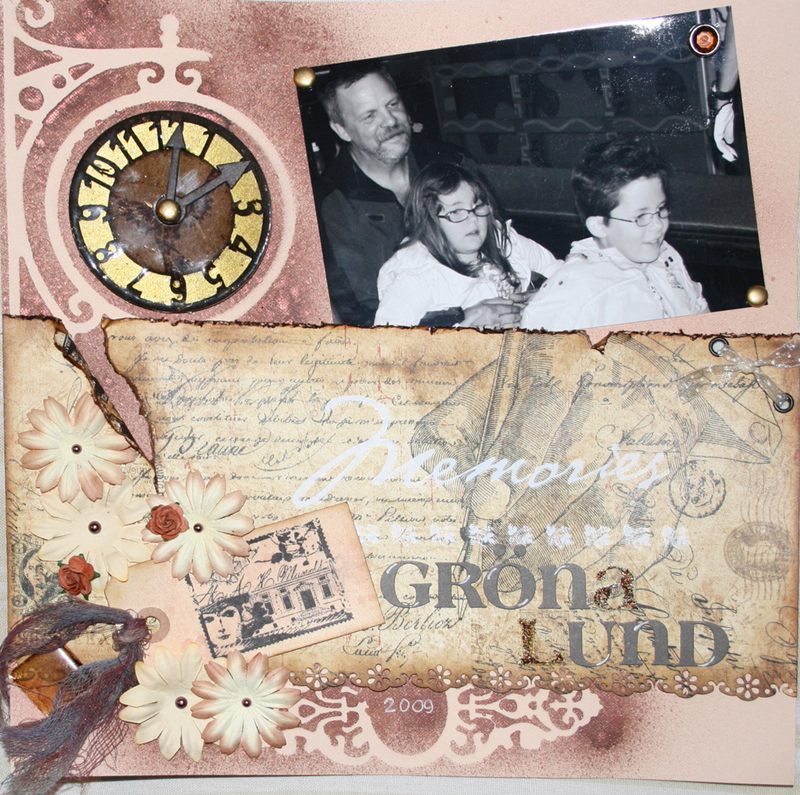 painted with Crackle Paint and added some Distress Embossing Powder while paint was still wet. Prima, Prima and more Prima! Panduro had a sale recently, and they had Prima papers too! Guess who stocked up on them? I’ve used them a lot these past weeks. Here are a few of the LO’s I’ve made. 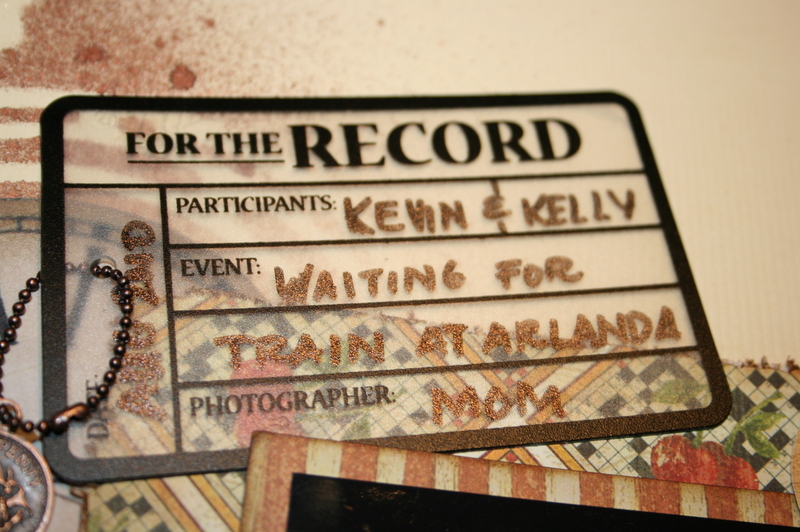 The tag comes from one of Kevin’s t-shirts, I painted it with Crackle Paint and added a rub-on. 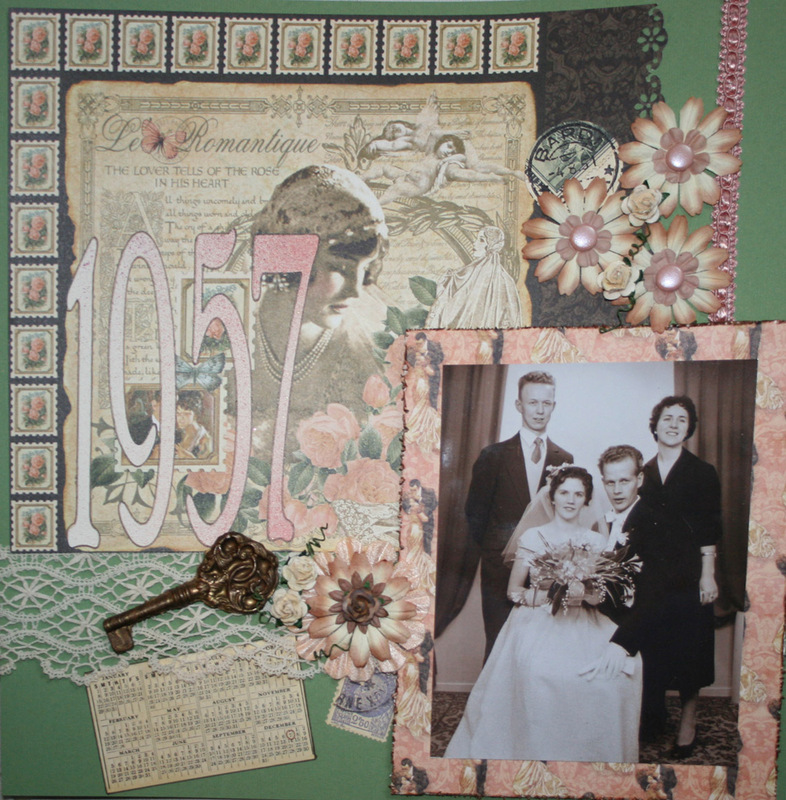 Flowers from Prima and PYHobby, the pearl white brads are office type brads which I have embossed (pointing downwards, instructions there), the photo mat is of my own production, stamps and journalpaper from Prima, chipboards from K&Co, except the swirl which is from Panduro. Painted with Crackle Paint and added Distress Ink. Flowers from Prima, Wild Orchids and PYHobby, the leaves comes from an interior design shop, the leaf border is stamped, embossed and alco inked on acetate (instructions in an earlier post), flower centers (half pearls) are bought at Tradera. 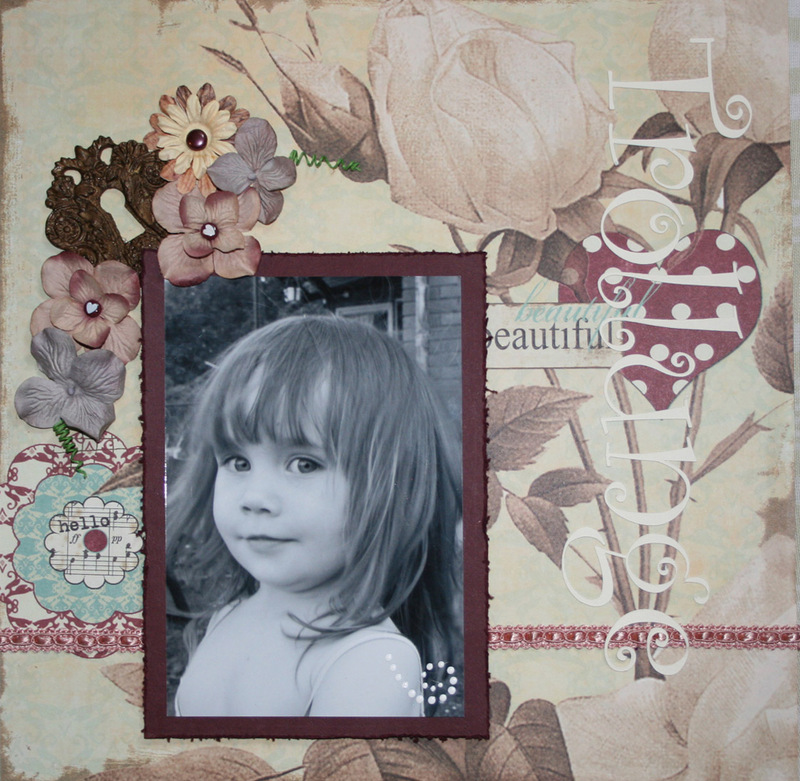 Prima and Wild Orchids flowers, chipboard swirl from Panduro, brads are embossed with UTEE Britez Fuchsia. Flowers from the same places as all the LO’s above. The chipboard swirl was really piggy pink so I added some red Staz-On to it. 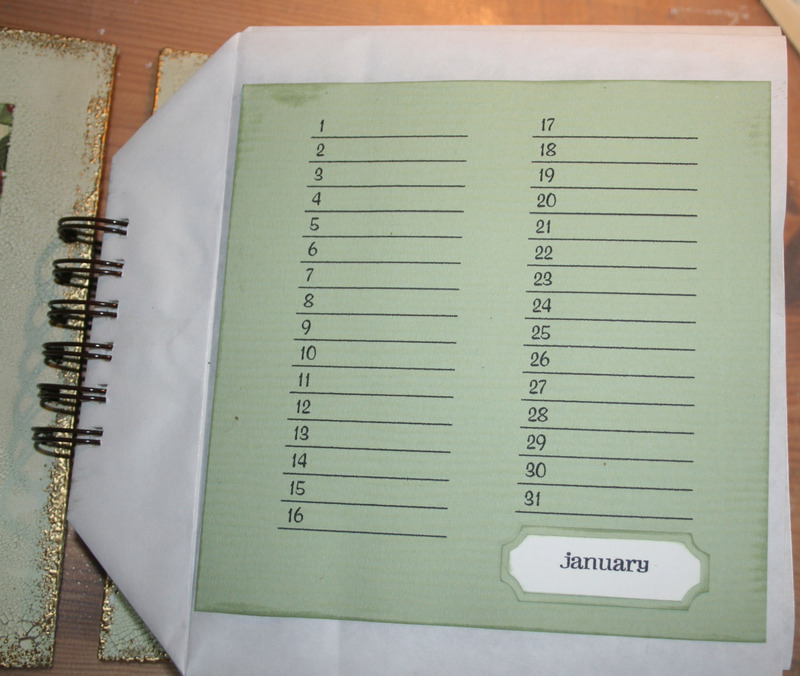 Journal tag/calendar from Webster’s Pages. 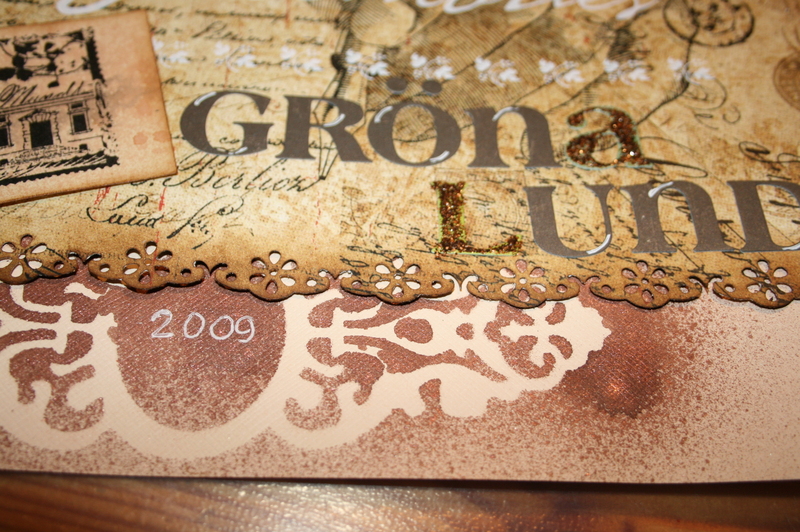 The photo mat is of my own production, but can also be bought from Svartvik Paper, this one is stamped with Prima stamps and Staz-On ink. 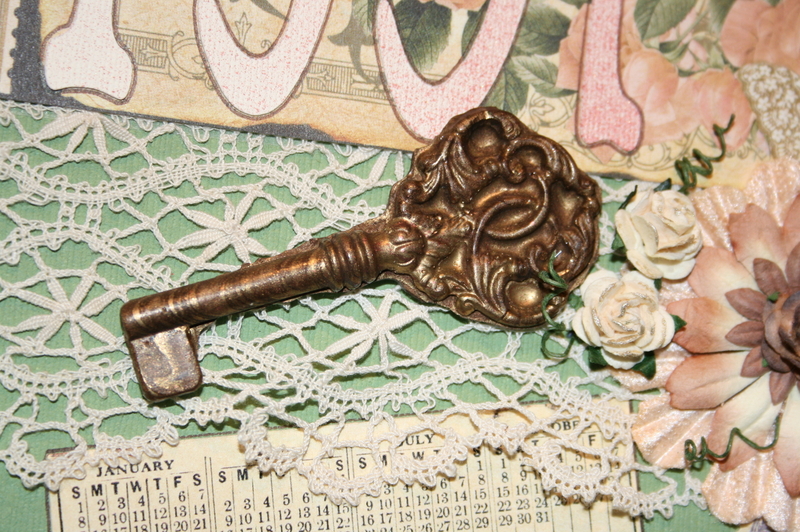 The title is a SEI rub-on, flowers are Prima and Imaginisce, the belt buckle from K&Co, but I added some Crackle Paint to it as it was in wrong color. A wooden Domino piece, distressed. The lovely screw brads comes from Creative Club. The large brad lower left comes from Panduro, the hook and eye on the right is from one of mom’s sweaters (don’t tell her! ).